Checkout the benefits below and start this today to get your body back on track for summer!!!! 1. Reduces Fever. Lemon has its own set of antiseptic and natural medications. 2. Balances pH. Lemons are acidic to begin with but they are alkaline-forming on body fluids helping to restore balance to the body’s pH. 3. Fight cancer. Lemons contain 22 anti-cancer compounds,including flavonol glycosides, which stop cell division in cancer cells. 4. Boosts your immune system. Lemons are rich in Vitamin C that work against infections like the flu and colds. 5. Perfect for Weight Loss.A few drops of lemon juice in hot water are believed to clear the digestive system and purify liver as well. 6. Decrease wrinkles and blemishes. Vitamin C in lemons helps to neutralize free radicals linked to aging and most types of disease. Drinking of lemon juice mixed with water and honey brings glow to the skin. 7. Flush unwanted materials and leans your bowels: Lemons increase peristalsis in the bowels, helping to create a bowel movement thus eliminating waste and helping with regularity. Add the juice of one lemon to warm water and drink first thing in the morning. BONUS – Did you know lemon water also lowers blood pressure and increases the levels of HDL (good cholesterol). Lemons are wonderful resources around the house beyond their culinary uses. The active cleaning ingredient in lemon juice is acid. This also provides antiseptic/antibacterial properties that you can employ in your house for natural cleaning! Scour the copper bottoms of pots that have been discolored with use and age. Polish up the chrome on your faucets or even your chrome car bumper. Get rid of hard water buildup on your shower doors. If you want to clean your microwave, place a cut lemon half in a bowl of water and microwave on High for about 3 minutes until the water is boiling. Let the bowl sit in the microwave for another 5-10 minutes with the door shut to allow the steam condensation to do it’s work. Wipe down with a damp sponge. Not only does this clean but it removes any funky odors that might be hanging around. Remove counter stains (not on granite or marble!) by putting lemon juice on the stains for a few minutes. Don’t leave it on for too long though because it’s pretty strong stuff! Clean up the area by scrubbing with baking soda and then rinsing with warm water. Freshen your garbage disposal by throwing your lemon peels into it. Clean up a dulled coffee pot by putting: 2 cups of ice, 2 Tbs salt, and 2 Tbs lemon juice into it and swirling around. This cleans it up to look like new! Boil lemon slices in a tea kettle to get rid of the mineral buildup on the inside. After it reaches boiling, remove from heat and let it sit for an hour or two before wiping out. Add about 1/2 cup of lemon juice to the washer when doing your whites. For extra bleaching power, lay out in the sun to dry. Remove rust stains from your clothes by rubbing stain with lemon juice. Hold stained area over a boiling tea kettle that’s steaming and then wash as you normally do. Lemon juice is also great at removing grass, blood, grease and juice stains as well. Mix 1/3 cup lemon juice with 2/3 cup hot water and treat juice stains that might occur on your carpet. Let sit for a few minutes and then blot up with a towel. Conditioning Rinse. 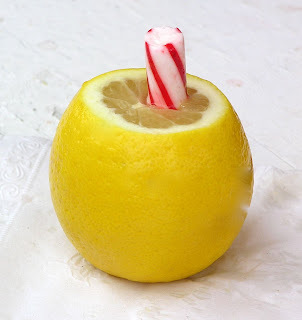 This is my personal favorite use for lemon juice. Put about 2 Tbs. lemon juice into a small 8oz cup and take it with you into the shower. When you’re done shampooing and rinsing, fill the cup the rest of the way with water. 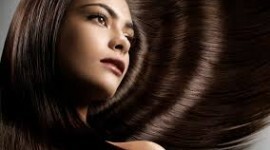 Pour lemon mixture over the shafts/ends of your hair, let sit for 1-2 minutes and then rinse. This step is especially important if you use shampoo bars. Shampoo bars are solid, non-detergent soap bars that have specially formulated oils that do not coat your hair. They’re great for scalp health and are gentle on your hair. Shampoo bars, like soap, are alkaline though and hair is naturally on the acidic end of the pH scale. The lemon conditioning rinse brings your hair back to it’s natural pH and gives it shiny softness.I prefer this rinse over using apple cider vinegar because it doesn’t seem to weigh my fine hair down like the ACV does. Is there anything that you use lemons for that I haven’t mentioned? Let me know and I’ll add it to the list!